Are you a Liberty MO homeowner looking to relocate? You need an experienced real estate agent like Ed Rippee to help you sell your home. Ed has years of experience in Kansas City real estate, including the Liberty MO area. His expertise and dedication will be invaluable as your market your Liberty MO property. With Ed’s help, your listing will showcase the amenities of your home and the Liberty community. Located just 25 minutes from downtown Kansas City, Liberty MO is a thriving suburb with a growing population, countless retail stores and restaurants, historic areas like the Liberty Square and Belvoir Winery, and liberal arts university William Jewell College. Ed will leverage the popularity of the area to sell your Liberty MO home. 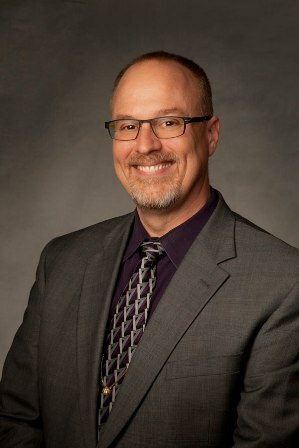 Ed Rippee is a seasoned real estate agent who has assisted countless homeowners in Kansas City and Liberty MO successfully sell their properties. Ed understands that the process of moving can be extremely stressful, and he’ll use his real estate expertise to ease your transition. Whether you’re relocating to a larger home to accommodate a growing family, moving to a new city or state for your career or for personal reasons, or an empty-nester downsizing your home, you need a Liberty MO real estate agent who has the drive and experience to sell your home -- and that real estate agent is Ed Rippee. Let Ed lower your pre-move stress. With Ed in charge of your real estate efforts, you can deal with the packing and planning related to moving, like packaging fragile belongings, reserving your moving truck and any movers, changing your address, arranging your new utilities, and more. While your focus is elsewhere, Ed will deal with all real estate listings, home staging and showings, and all negotiations with buyers interested in your Liberty MO home. Ready to partner with Ed Rippee to sell your Liberty MO home? Call Ed today at (816) 866-5043 -- he’ll happily answer any questions you have about selling your Liberty MO property.